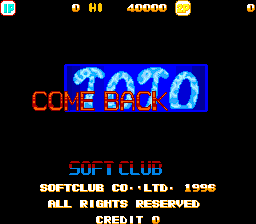 The supply of not-so-original Korean ‘originals’ has dried up in recent years but when system11 spotted the board for a game called ‘Come Back Toto’ for sale he couldn’t resist buying it. 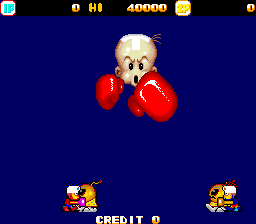 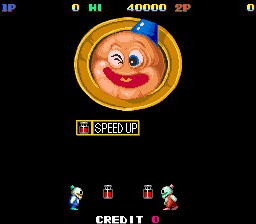 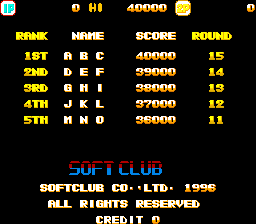 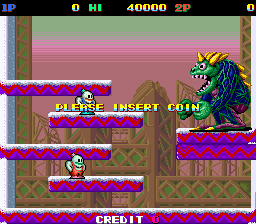 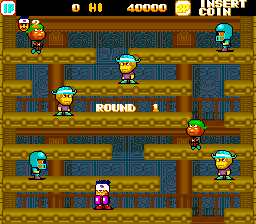 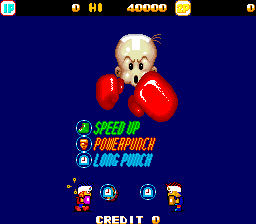 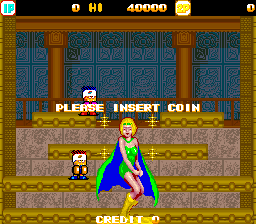 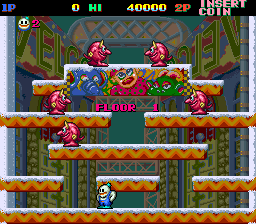 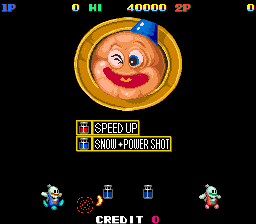 The game, which attempts to pass itself off as an original 1996 title by ‘SoftClub’ is actually a reskin of Toaplan’s Snow Bros. 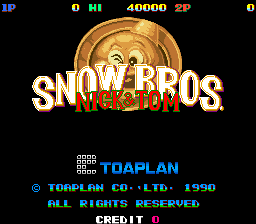 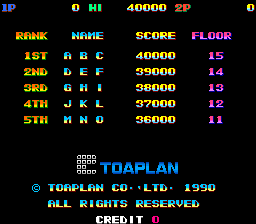 He dumped it, I emulated it, there was some basic line swapping on all the roms, and a stupid ‘protection’ check (wanted a fixed value returned from a port Snow Bros doesn’t use) but overall getting it working wasn’t much of a challenge. 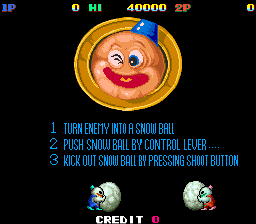 Here are some side-by-side screenshots with Snow Bros.